Bad incentives push universities to protect rogue scientists. As the recent Carlo Croce case shows, this can cause real harm. Here’s one way we could fix the problem. The Ohio State University professor has received millions in federal funding to study cancer while the subject of at least five investigations. 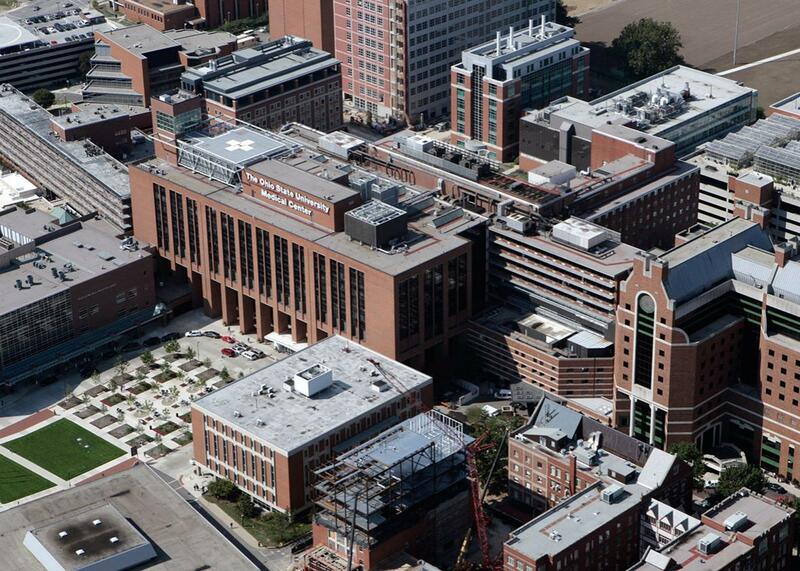 Above, the OSU Medical Center. The New York Times reported last week that Ohio State says it will take yet another look at its star scientist, thanks to what officials in Columbus say are newly discovered critiques by a researcher in Indiana of Croce’s data. Will this yield a different outcome? Perhaps, but likely only after an exhaustive effort by people other than officials at the university. As we and others have observed through covering institutional investigations—including the Croce case, which we’ve been covering since 2014—universities are worse than foxes guarding chicken coops when it comes to policing their own researchers. They’re like foxes who won’t even acknowledge that poultry exists, saying they never touch the stuff. Some experts argue, with good reason, that the pressures on scientists to cheat and cut corners have never been greater. Funding for science is tight; meanwhile, the number of new Ph.D.s keeps rising while the number of faculty slots for scientists is falling. But for a variety of reasons, universities routinely act as the enemies of transparency when it comes to research misconduct on campus. They ignore requests for investigations by whistleblowers, shun nosy journalists, and keep regulators and financial benefactors, including government agencies, in the dark. Disgraced scientists are allowed to quietly resign, with nary a word to their future employers. All the obfuscation takes a toll—in taxpayer money, trust in science and institutions, and even the safety of patients. Consider the case of Anil Potti, a rising superstar at Duke, whose promising work on customized treatments for cancer earned the North Carolina university millions in grants—until questions began to surface about the validity of the findings. Duke said “nothing to see here” then, too. What suddenly led to attention, and eventually a federal finding of misconduct, was the fact that he was caught lying on his résumé about having won a Rhodes Scholarship. Then there’s Rice University in Houston, once home to a promising physicist named Dmitri Lapotko, who was the subject of an institutional investigation after other researchers questioned the integrity of his papers. Although a journal retracted one of Lapotko’s studies for image manipulation, citing the Rice probe, not only did the school refuse to identify him as the target of the inquiry—it refused to acknowledge the investigation at all when we called for comment. Or the even more spectacular shenanigans of Paolo Macchiarini, a world-renowned surgeon in Sweden who boasted of (imaginary, of course) ties to Pope Francis, Bill Clinton, and Barack Obama, and somehow managed to seduce his institutional overseers at the Karolinska Institutet into clearing him despite the mounting chorus of accusers—until they finally had no choice but to admit he was a bad actor. These universities gave their stars more than their fair shares of second chances. We can’t say why without reading minds, but the fact that universities depend so heavily on grant funding brought in by luminaries like Croce is high on our list of likely reasons. Universities don’t seem very interested in exposing this fraud—in fact, quite the opposite. And why would they be? Misconduct on campus is bad for their reputations, regardless of a researcher’s stature. And for the big earners, killing golden geese is hardly good for business. Yet by failing to release reports of their investigations, overinterpreting confidentiality statutes, and often fighting tooth and nail against public records requests, they only give ammunition to those who claim they’re not transparent. So here’s a suggestion: Since funding is obviously of critical importance to universities, federal agencies should make the speedy release of misconduct reports about their faculty and staff a condition of receiving those grants. Call it a transparency tax for the sake of public accountability.